The markets today opened sharply higher tracking optimistic cues from the US markets after Fed reassured of improved outlook for the economy. All the sectorial indices are trading in green in the opening trade. The Realty, Metal, Banking and FMCG stocks are fronting the rally today. The broader market indices also supporting the markets today and have outperformed the sectorial index in the opening trade as both the BSE Mid Cap and the BSE Small Cap indices are now trading with again of more than 2% each. 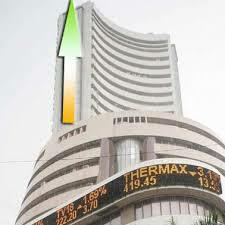 The BSE Sensex is now trading above the 15250 mark and the NSE Nifty above the 4500 mark in the early trade. The BSE Sensex is trading up by 241.65 points or (1.61%) at 15,261.81 and the NSE Nifty is trading higher by 74.60 points or (1.67%) at 4,532.10. The BSE Mid Cap is trading higher by 108.74 points at 5,523.27 and the BSE Small Cap grew by 154.51 points or (2.52%) to 6,289.44. The Overall market breadth is positive as 1515 stocks are advancing while 319 stocks are declining and the 46 stocks remained unchanged on BSE.